Here is one of my favorite recipes to make once and eat healthy dinners for a week! 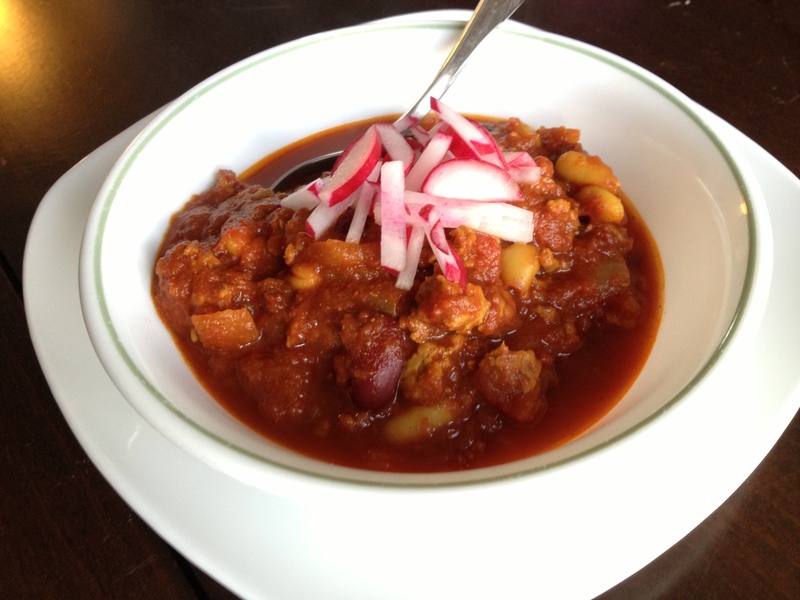 This chili has great spices and bold flavor, but stays lean by using ground turkey instead of ground beef. The best part is that it all comes together in under an hour, including simmering time! To add a little healthy crunch to the chili, I added some thinly sliced radishes. Not quite as good as topping a bowl with shredded cheese, sour cream and crackers, but it keeps the meal light. Before you begin, I suggested opening all of the cans, draining the beans, and getting the spices out because the preparation goes very quickly once you start. Heat the oil in a large saucepan. Then, add the ground turkey, onion and garlic and stir frequently to break up the ground turkey. After cooking for 5 minutes, add all the remaining ingredients. Simmer uncovered for 25 minutes. 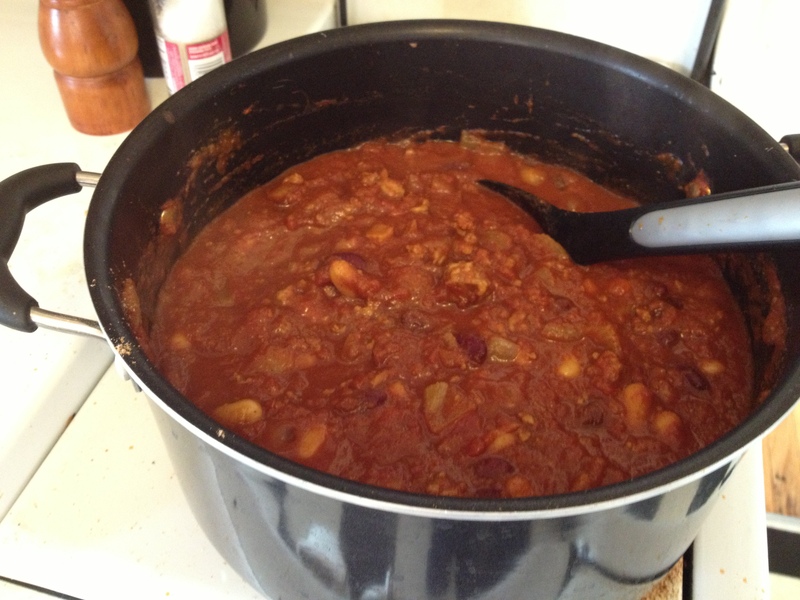 *You could double the ground turkey if you like a meaty chili – when I do this, I also increase the spices to keep the flavor up. 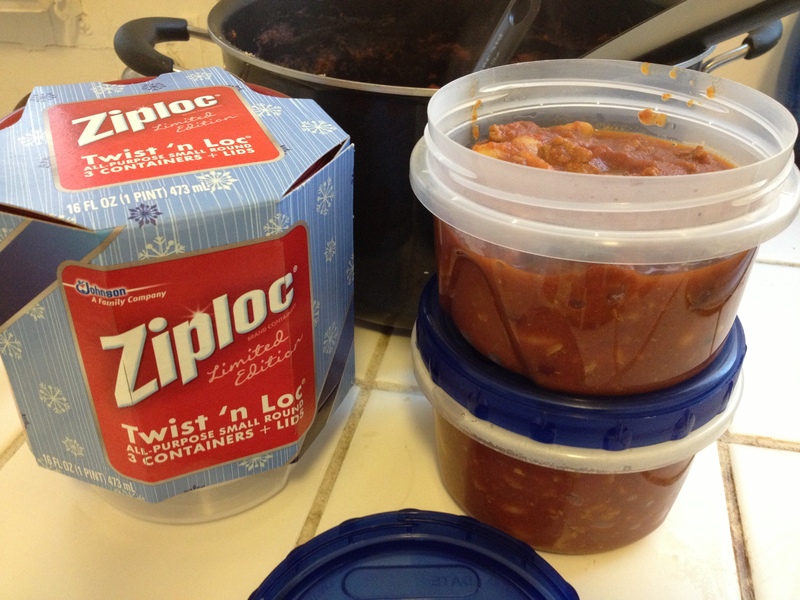 These Ziploc containers are my favorite for storing individual servings in the refrigerator or freezer. I will keep a few in the refrigerator to eat for the upcoming week and then I will freeze a few for some time in the future when I need a quick meal. You could also use these for bringing lunch to work.